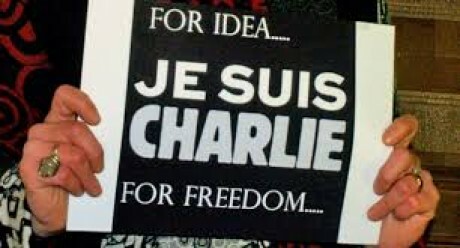 On the same day as thousands marched at Paris’ Place de la Nation, waving national flags and holding placards that read “I am Charlie,” top U.S. officials met their French counterparts and with French Prime Minister Manuel Valls and French President François Hollande to strategize on further steps to counter terrorism. U.S. Attorney General Eric Holder and Deputy Secretary of Homeland Security Alejandro Mayorkas attended an international ministerial meeting convened in Paris January 11 by French Minister of Interior Bernard Cazeneuve to discuss a range of shared security-related priorities, including counterterrorism efforts, foreign fighters, and countering violent extremism in the aftermath of the terrorist attacks in Paris during the week of January 4. Mayorkas reiterated to his international counterparts that the link between U.S. security and that of its international partners is key, and discussed the collective concern about foreign fighter traveling to and from Syria and joint efforts to counter violent extremism. The deputy secretary highlighted the importance of sharing information about violent extremists who return to their home countries after traveling abroad. Homeland Security routinely shares information with international law enforcement and with intelligence and homeland security partners to ensure collective security, Mayorkas said.